India is well known for its embroidered and embellished garment exports business. 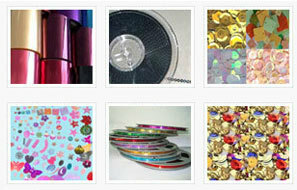 Here, we - Rasik Products Private Limited., provide PVC free sequins to the high fashion garment export houses. As per the strict US and European standards, our product is certified from three prominent labs which are SGS, Intertek and BV. For customer assurance, we also provide lab test reports with our materials that states the offered products are 100% Lead free, PVC free, Phthalates free, Cadmium free, AZO free and also match all the tests as per the new REACH free complainces. We are working with many of the known export houses of India that allow us to offer best quality sequins at competitive prices. The garment export houses are using our sequins for there embellished garments for the brands like Gap, Macy's, JC Penny, Next, Debenums, H & M, Frence connection, Marks and spencers, American eagle, S. Oliver etc. A part of fashion sequins devision of "Rasik Group ", we are pioneers of PVC free films in India and now have our own sequins manufacturing facilities to manufacture both chain sequins and loose sequins. While talking about PVC free sequins films, we are converting 200 tons per month and fulfilling the demands of domestic and export markets like Bangladesh, Dubai and Turkey. With all available production facilities being in-house, the biggest advantage for you to choose "Rasik Sequins" is that we can develop any colour and shape/size in PVC free sequins as per your fabric. Other than this, we can also match the colour of your local PVC sequins and can convert it into PVC free and Phthalate free product. Our sequins can bear the temperature up to 180 degrees with no colour and shape change and can pass any standard tests like perk, dry steam, dry cleaning to washing and washing to dry cleaning etc.